Before I start, I will like to take this opportunity to wish all my readers “A happy 2015 and may all your wishes comes true”.. 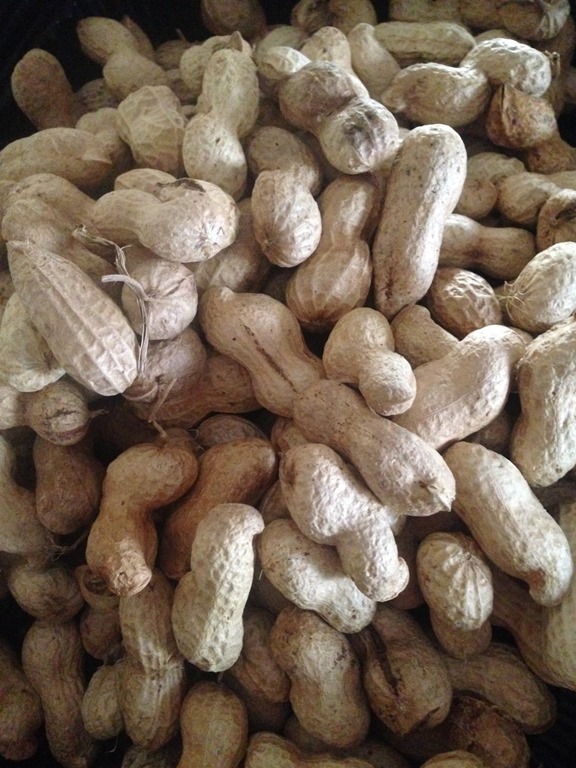 While I was shopping in the supermarket, I bought a bag of “fresh” peanuts imported from China. Prices was very reasonable but I am unsure how is the taste. 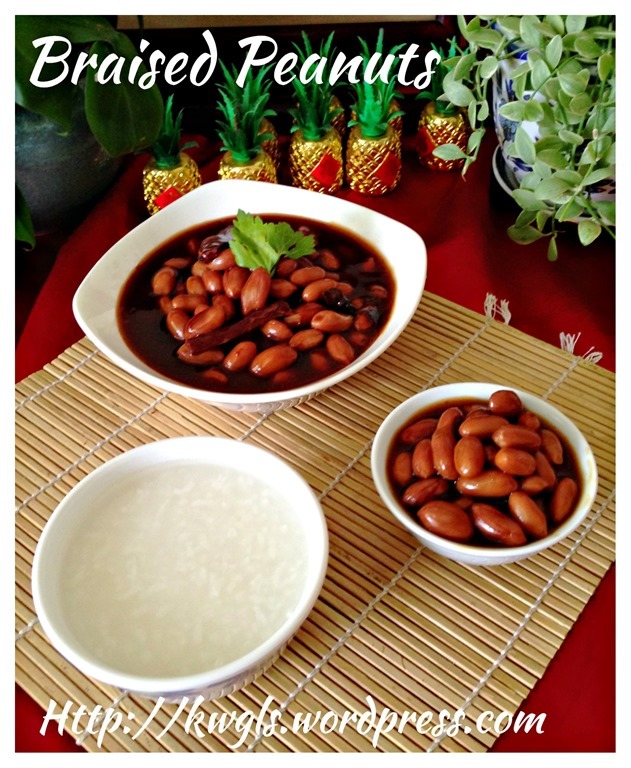 I have therefore decided to cook this dish using fresh peanuts. Yes, the peanuts did not disappoint me. It is of a rather big grain and really sweet. 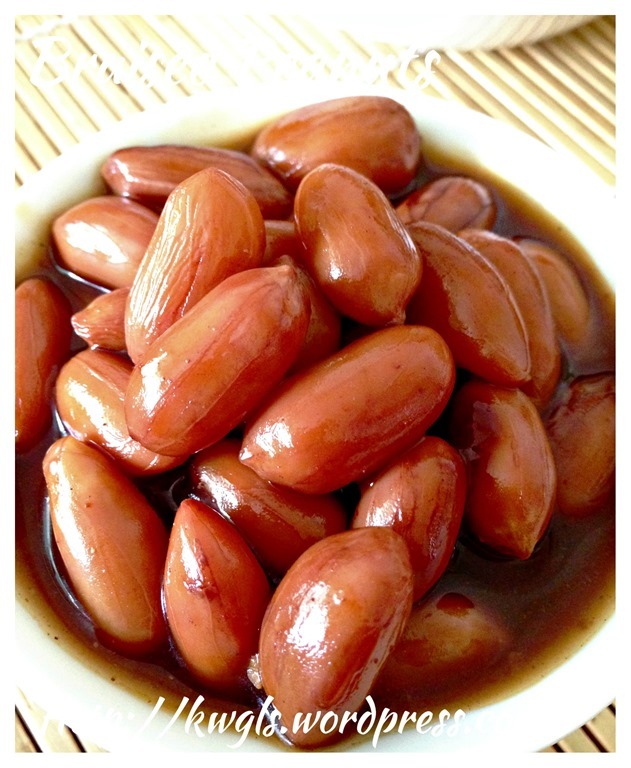 In fact, I was surprised by the sweetness of the peanuts without any seasoning. 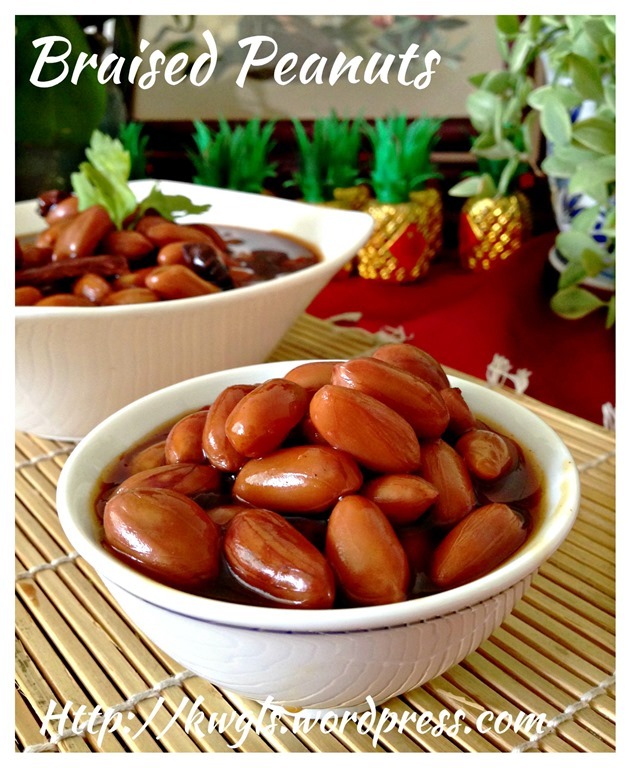 Therefore, this recipe starts with fresh peanuts but of course you can used package raw peanuts. 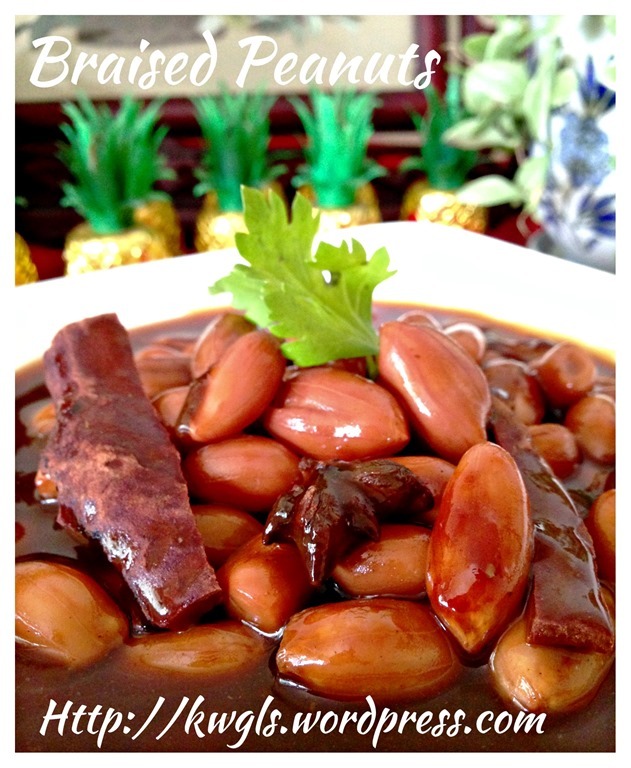 I love these braised peanuts for its flavour and melt in the mouth texture. Depending on your preference, I like mine to be on a sweet side and I have added rock sugar to the braise broth.. 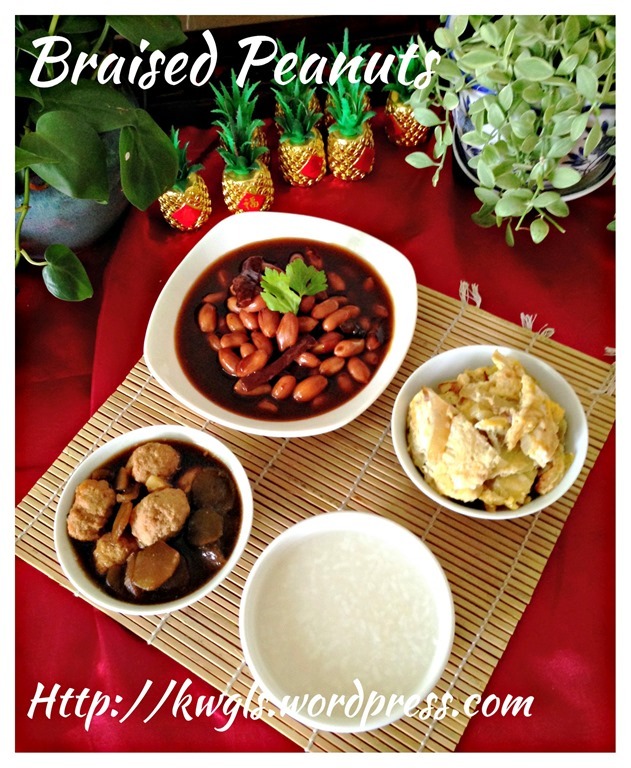 I have prepared these braised peanuts as part of my Teochew porridge meals. 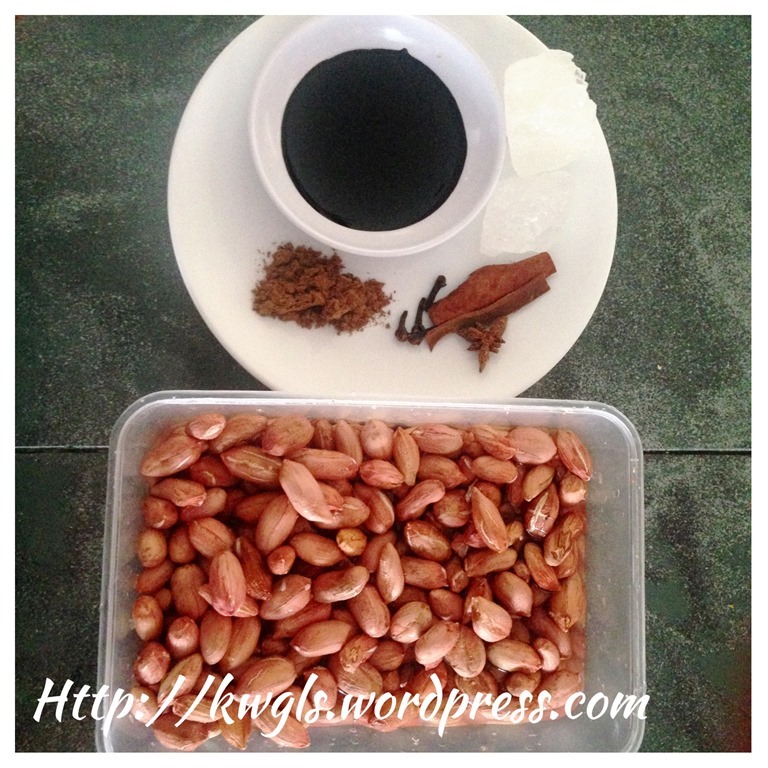 There is actually no much to write about as the recipe is very simple..
500 grams raw peanuts, shelled and cleaned. Put all the ingredients in a pressure cooker. Add enough water to cover the peanuts (about 1 cm above the peanuts). 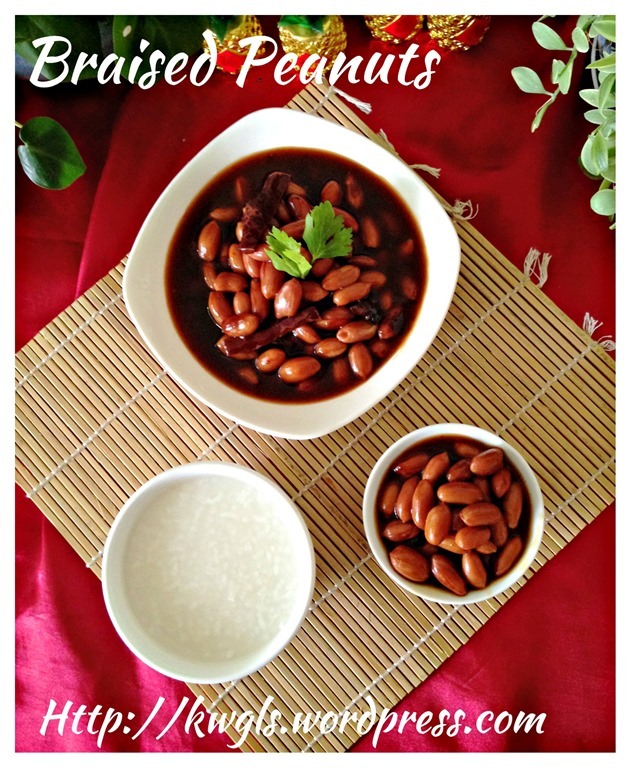 Pressure cook the peanut for 15minutes –30 minutes depending on your desired texture. I have cooked for about 20 minutes. 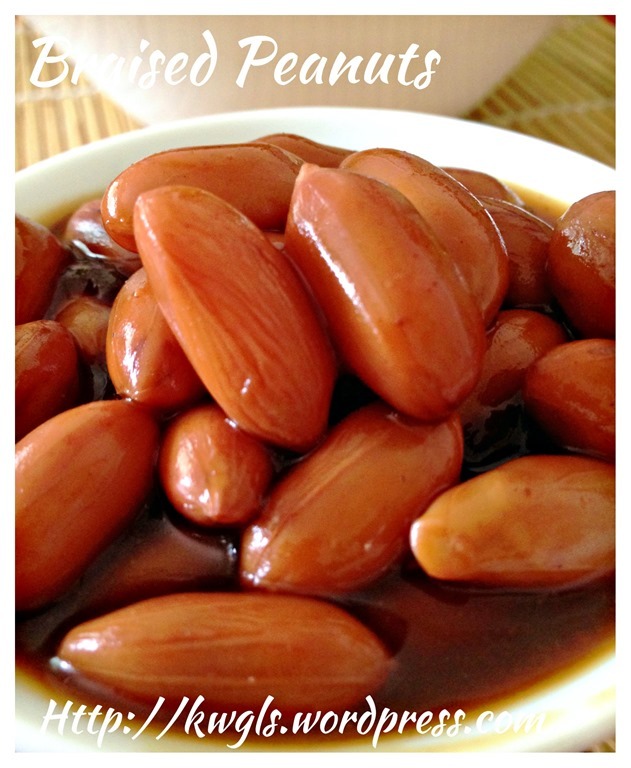 If you like the peanut to be smoother, add the corn starch solution and cooked for another 5 minutes. For corn starch solution, add one tablespoon of corn starch to 3 tablespoons of water, stir well and add to the cooked peanut. For better tasting, let it rest a few hours before serving. 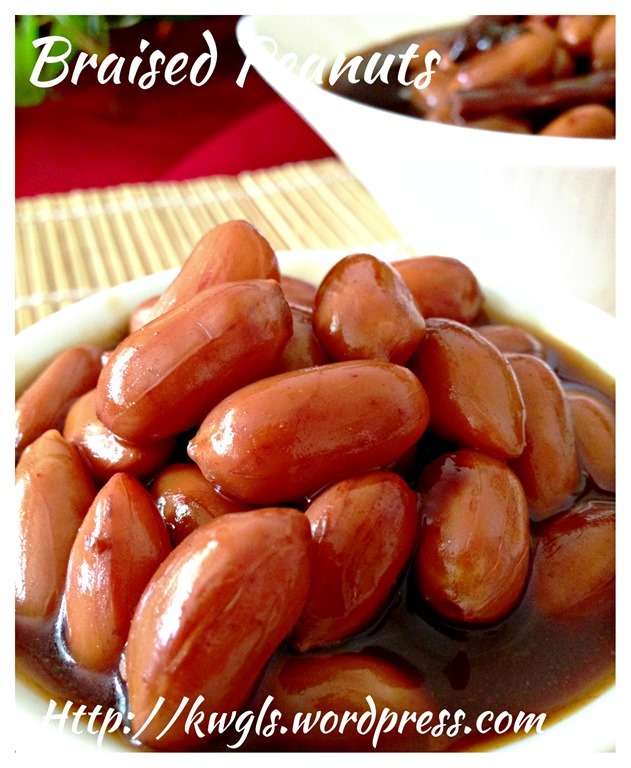 This is a simple recipe and nothing to shout about. 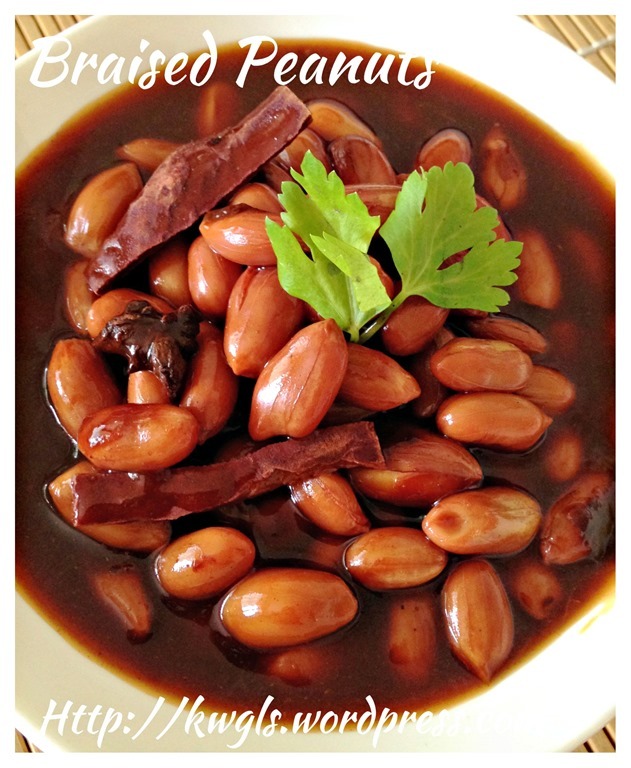 i have always thought that it is very difficult to braise the peanut until very soft. 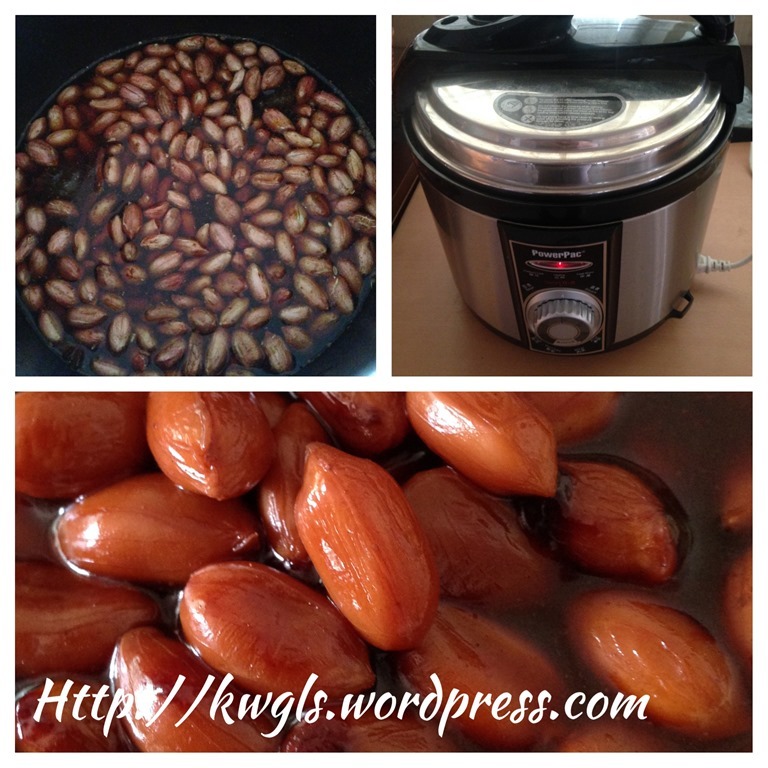 However, with the use of pressure cooker, it is fast and easy. Of course if you do not have the pressure cooker, you can always braised using a slow cooker or crockpot or rice cooker or over the stoves. 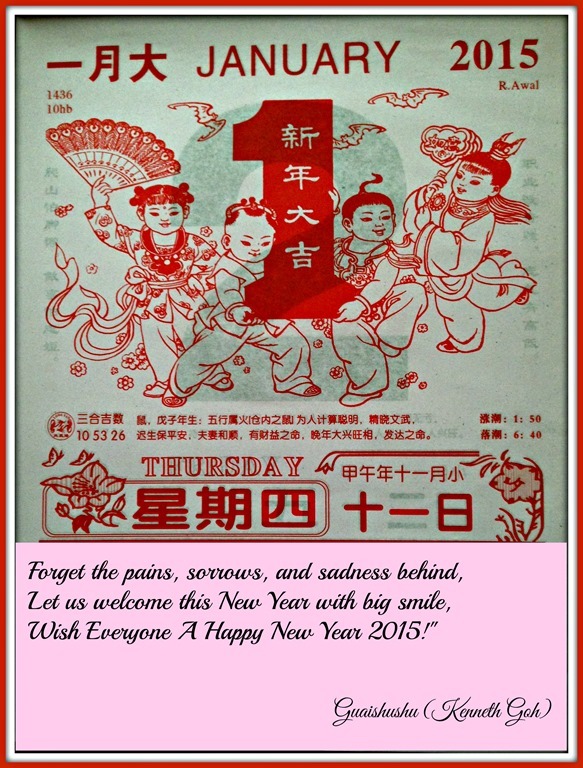 The timing will vary but you have the options to check it as and when you like it.. 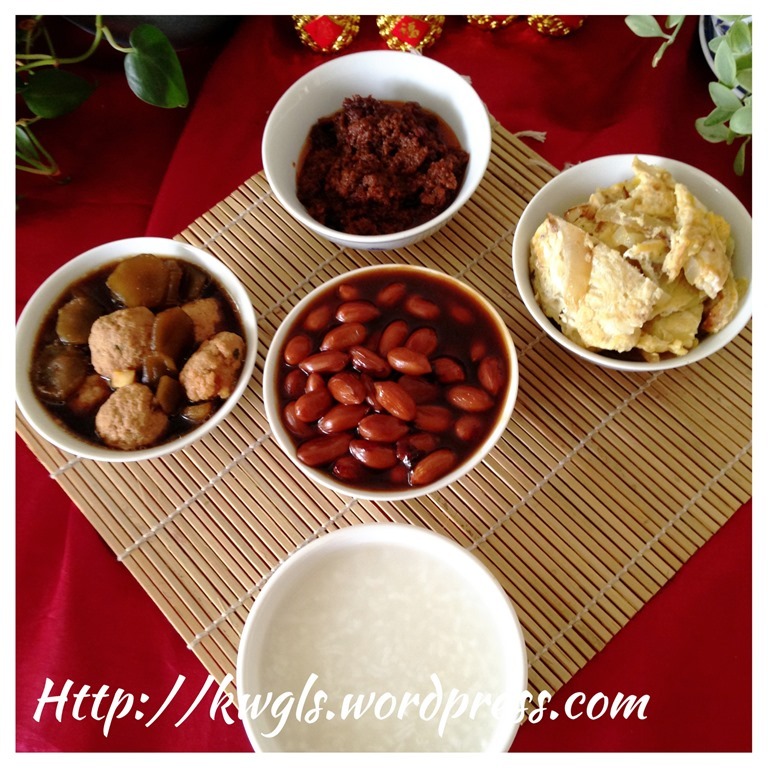 This entry was posted in Chinese and Asian Cakes and Snacks, Food Preparation Series, Sauces and Pickles and tagged 8, braised peanuts, GUAI SHU SHU, Guaishushu, kenneth goh, postaday, teochew braised peanuts, 卤花生. Bookmark the permalink. wow seem quite easy ! Cant wait to try . Can I use slow cooker instead? Yes, you can but you have to monitor the timing.